1. Can You Apply for a Refinance & Home Equity Loan at the Same Time? 2. How Much Equity Should I Have in My Home Before I Start Investing? A home equity loan is essentially a second mortgage on your house that is backed by the value of your property. A 100 percent home equity loan is one that, combined with your other home loans, exhausts the value of your property so that it is completely financed. 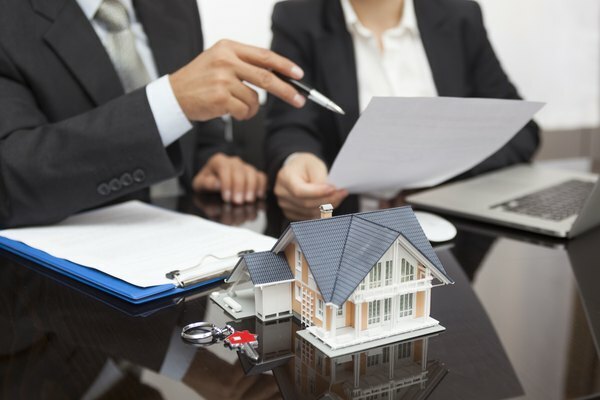 You generally can't take out more than the value of your home, since the lenders will lose money if they need to foreclose, and some banks won't even allow you to borrow up to 100 percent. A 100 percent home loan in finance is one that borrows against every bit of value in your home. They can be risky for both borrowers and lenders, and not all banks will issue them, but the interest can be lower than other alternatives like a credit card. Generally, when you borrow money to buy a home, you take out a mortgage loan that is backed by the value of your home. If you fail to make payments on the loan, the lender can go through a legal foreclosure process to take your home or have it auctioned off to pay the outstanding bill. The exact process and legal terminology varies somewhat from state to state, but the overall idea is the same throughout the United States. Once you own the home, you can borrow additional money through what's called a home equity loan. You are literally borrowing against your equity in the house, meaning the portion that is not already borrowed against by your first mortgage. This type of loan is different from refinancing a mortgage, where you borrow money to pay off your initial mortgage, usually at a lower interest rate. You can also take out what's called a home equity line of credit, which allows you to borrow additional money against your home's value as you wish, something like a credit card, rather than taking out one loan all at once. HELOC rates generally vary with prevailing interest rates. Make sure you understand how the interest rate works before taking out such a loan. Interest on second mortgages and home equity loans is generally higher than on a first mortgage, but the rates are usually lower than other unsecured loans, meaning ones not backed by collateral, such as a credit card. Some people use home equity loans to pay off high-interest credit cards with a lower interest home loan, although you should make sure you are able to pay the loan back before doing so you don't risk losing your home to foreclosure. Real estate experts sometimes talk about the loan-to-value ratio on a home, meaning the ratio of the total amount borrowed against the property to its total value. If you have a 100 percent LTV HELOC or home equity loan, you have borrowed the home's value in total loans. If you have a house valued at $200,000 and a first mortgage of $75,000, you could borrow up to $125,000 against the equity in your home with a 100 percent loan-to-value home equity loan. The higher the loan-to-value ratio, the higher the risk for the lender, since if real estate prices drop or the home turns out to be overvalued, the bank may not be able to get its money back even if the house is sold. This is why some lenders won't issue loans above a certain loan-to-value ratio, often around 80 percent. Shop around to find a lender offering a home equity loan in the amount you want at a decent interest rate. There is also some risk to you with a 100 percent loan-to-value loan if you ever wish to sell your home. If you're not able to find a buyer willing to pay as much as you expect for the home, you may find yourself needing to pay back some of the loan out of your own pocket rather than receiving money when you sell the property. This may be an issue depending on your financial situation and can be risky if you ever think you may need to move in a hurry. Your credit rating may affect the interest rates you're offered, and whether you're offered such a loan at all, so depending on your credit, you may want to be prepared to not find such a loan available at a decent rate. If your credit report has negative issues on it, you may need or want to wait until enough time has elapsed for them to no longer be included. You may want to check your credit score or look at your full credit report from the major credit reporting companies before you apply for a loan. You can obtain a free credit report from each major credit bureau once per year, and various websites can estimate your credit score either for free or for a fee. If you see anything erroneous on your credit report, you can work with the credit reporting agency to get it fixed before you apply for the loan. Lenders will also usually look at your total debt-to-income ratio, so you may be better off applying after paying down credit cards or other outstanding loans if you can. And, of course, the more money you make, the more banks will be inclined to lend to you. Some home equity loans, like first mortgages, offer a fixed interest rate for the life of the loan while others have an adjustable rate that changes according to prevailing interest rates over the time you have the loan. If you opt for an adjustable rate loan, make sure you understand how and when rates may fluctuate and that you'll still be able to pay the loan if the rate goes up significantly. Home equity lines of credit, which allow you to borrow additional money over time, usually have adjustable rates. Before you can get a home equity loan or home equity line of credit, the lender must know how much your home is actually worth. In some cases, a bank may simply look at the value of the home in internet databases or specialized resources, looking at nearby homes of similar shape and size and how much they sold for. In other cases, the bank may require that you get a formal appraisal. A professional appraiser will need to visit your home and offer a formal report with an estimate of how much it is worth. In most cases, you'll have to pay a few hundred dollars to the appraiser. Keep this in mind as part of your budget when applying for the loan. Another option for borrowing against the value of your home if you already have a first mortgage is what's called a cash-out refinance. This lets you refinance your existing mortgage and borrow more money against the value of your home at the same time. It can be a good option if interest rates have declined since you took out your first mortgage. Lenders may limit how much of the equity in your home you can borrow against, so you may not be able to get a 100 percent loan-to-value loan this way depending on the bank you work with. Bankrate: How Much Equity Can You Pull Out of Your Home? Hanscom Federal Credit Union: Home Equity FAQs - Do You Require an Appraisal for Home Equity? What Is Home Equity Withdrawal?